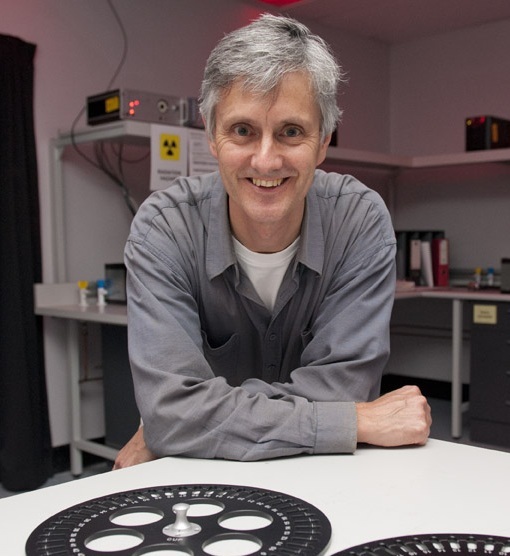 Richard ‘Bert’ Roberts is Professor in the School of Earth and Environmental Sciences and Director of the Centre for Archaeological Science at the University of Wollongong. His research interests include the development of new and improved methods of dating archaeological and geological deposits, especially using luminescence techniques, and applying these methods to significant questions concerning human evolution and dispersal, past environments and the interactions between people and the ecosystems in which they lived. He currently works on projects in Africa, Asia and Australia.